It’s a new day and a new week with the chance to make different choices. My work with people over the past 15 years has taught me that most people want to be happy, and everyone deserves to be happy. I firmly believe that if I can help someone to become aware that happiness is an inside job, this person will also be a more creative and productive employee. If you already live life to the fullest, keep doing what you’re doing. However, if this isn’t the case for you, maybe it is time to rewrite certain chapters in your life. Why? Because you can. Have you ever considered that our thoughts become stories in our mind? It has been said that the average person has 60,000 thoughts a day and 80% out of these thoughts tend to be negative. If you are not intentional in your thought process, you may reinforce stories that don’t serve you over and over again. Our happiness literally depends on how we think life is “supposed to be”. Many of these stories that we tell ourselves come from our family, our friends, our teachers, our work environment and society as a whole. I have never liked to live by society’s rules. I am a master in making my own and I would like you to do the same. Here is to you and your happiness because this is what life is all about. 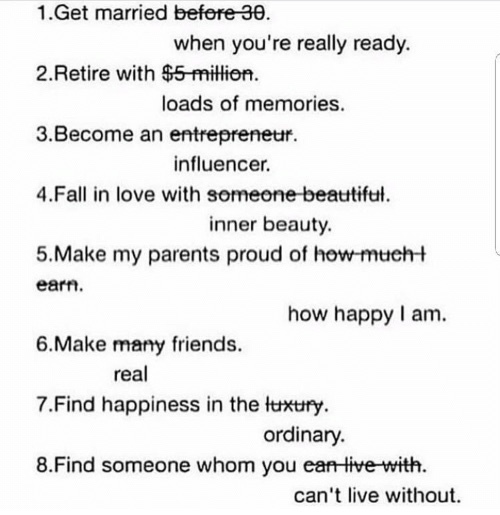 I really like #4. It’s the first time I realise I actually do this with my youngest daughter. Let her win some arguments and I can be a happy Dad! Hello Kevin, Nice to see you reading my messages. 🙂 Hope you’re doing well!